For your viewing ease, we’ve integrated the blog into our website. Please update your bookmark to www.cohintl.org/blog. 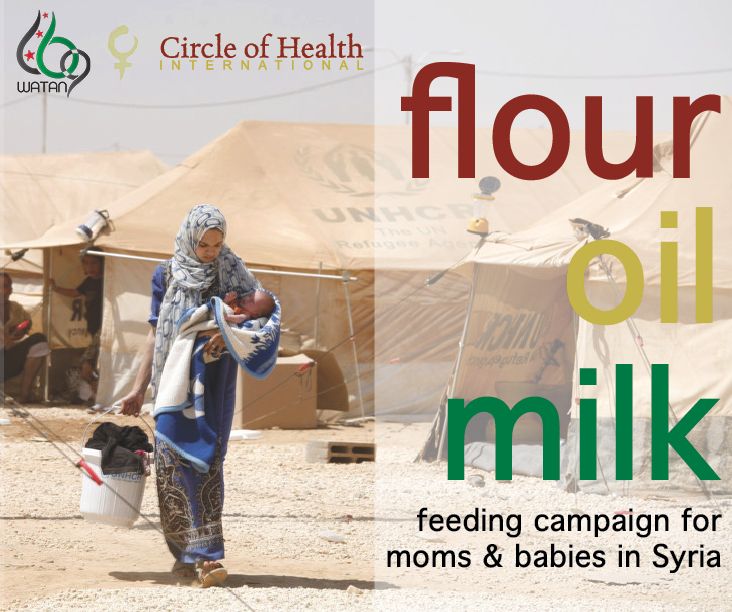 Today marks the launch of our new 30-day crowdfunding campaign, “Flour, Oil, Milk.” In collaboration with WATAN, our implementing partner in Syria, we aim to raise $50,000 to provide funding to purchase local flour, oil, and supplemental milk for malnourished moms and babies inside of Syria. According to the United Nations High Commissioner for Refugees (UNHCR), there are over four million people displaced in Syria, most of them women and children. Flour prices have doubled since the conflict began, cooking oil is largely unavailable, and supplemental milk for babies hasn’t been seen in markets for months. COHI is in Syria to help feed and protect the mamas and babies in harm’s way, and we are asking for your help. Please donate here and take the time to share the page with your network. These campaigns only work when we all make an effort. Your help is essential to getting the Syrian mamas and babies the nutrients they need. It is our pleasure to invite you to join our next field delegation. COHI has a long history of leading delegations of women’s health and public health professionals to visit COHI’s field sites and support our partner organizations, and we look forward to expanding this tradition to our current work in the Middle East. 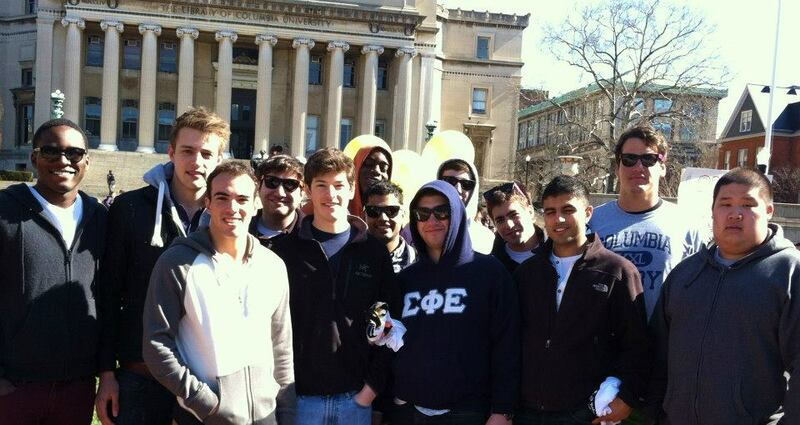 The 2013 delegation will travel to Turkey, Jordan, the West Bank, and Israel, with participants invited to join for the entire delegation, or in pieces, according to travel availability. In Jordan, we will be working with the Syrian population. In the West Bank and Israel we will partner with midwives, and in Israel, we will also assist Eritrean and Sudanese refugees. 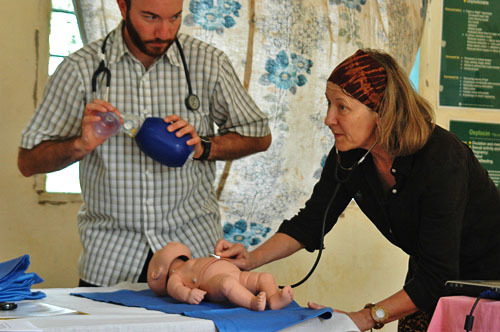 We will help deliver babies, train midwives, and work with community health care workers. Application requirements: Letter of interest detailing why you want to work with COHI and what experience you have in the region, your updated CV, and a list of three personal/professional references. Email them to: mjones [at] cohintl.org. Today we launched a new page on our website dedicated to our extensive list of capacity-building trainings. Some of the services that COHI is proud to offer our partner organizations, our allies, and the communities where COHI serves, are capacity development training opportunities. Here are some of the workshops and trainings that COHI would love to bring to you and your community, please be in touch with us if you are interested in talking more specifically about bringing COHI in for a session with your organization or community! 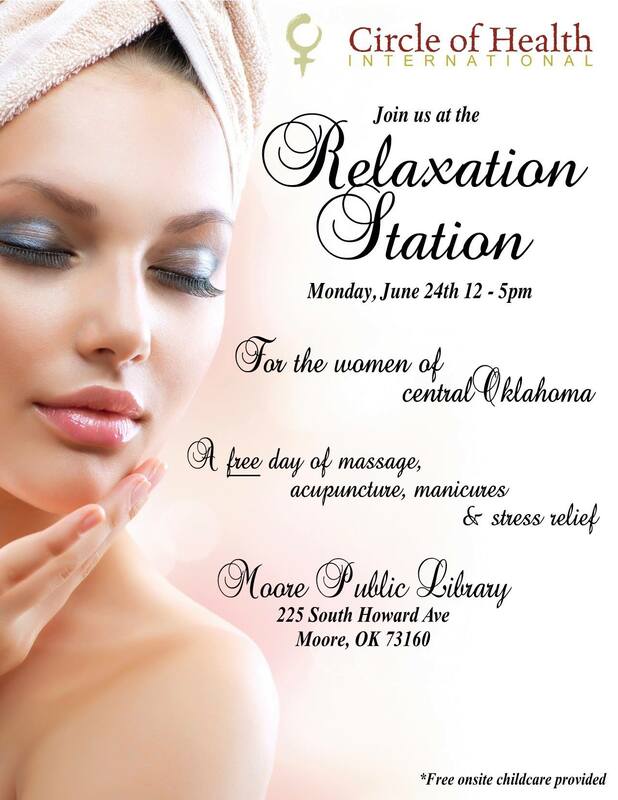 The ‘Relaxation Station’ event is on June 24th from 12-5pm, at the Moore Public Library. Come relax with us! “Volunteering with Circle of Health International has truly been such a gift. The man I am today is the direct result of a constant and consistent female influence. As a gay man, especially, I have relied almost exclusively on women for support. My personal ‘cheer section’, as it were, is not at all lacking in female participation. This is why I decided to help out at Circle of Health International. It is unfortunate, to say the least, that it took the devastation of a tornado to connect me with such an amazing group. There are so many stresses that come out of tragedy. Some of the most mentally debilitating and socially unrecognized issues that surface in the aftermath of destruction revolve primarily around women. Thankfully, I have come to find that strength and resilience are universally feminine characteristics. However, even the strongest of women are sure to reach their breaking point sooner or later. This is why the work of COHI and its volunteers is so very important. Sometimes all a strong woman really needs is some simple R & R.
This is the philosophy behind our upcoming ‘Relaxation Station’ event. The women of Moore, and the rest of the Oklahoma City area, need to be pampered, need to feel special. Who deserves it more? Massages, manicures, acupuncture, etc. These are the services that we plan to offer on today, June 24th, for the best price in town…FREE! All these women have to do is show up, sit down, and smile… We’ll take care of the rest.